The Grand Teton National Park has huge easy to navigate campgrounds, day trips can include rafting, mountain and rock climbing, and typical hiking. Unlike Yellowstone, here you can actually have a campfire at night. Fun easy camping. 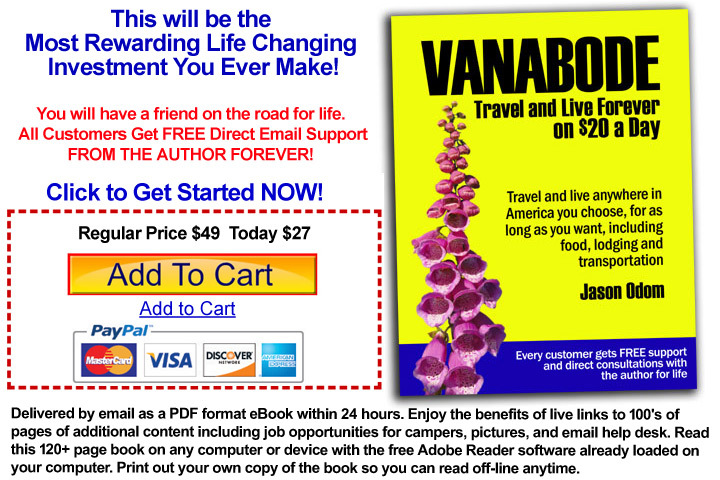 Nothing worth traveling over 3 or more days out of your way though unless you backpack into the wild and spend a week tent camping. and these aren't Florida mosquitoes that drift around lazily and you can walk away from. These monsters literally chase you and you cannot outrun them. 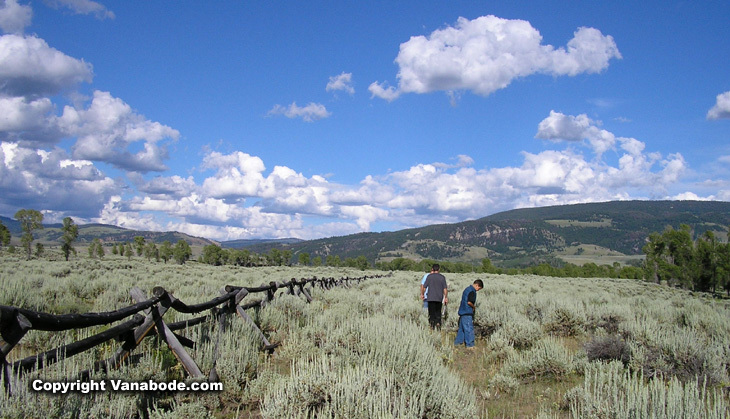 Above: Picture of us walking through the meadows in the Grand Teton National Park, Wyoming. 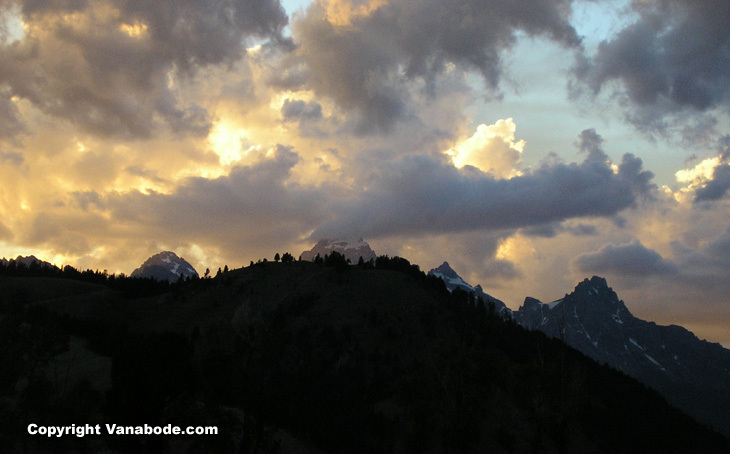 Above: Josh took this awesome picture of the fast moving clouds over the Grand Tetons at sunset. 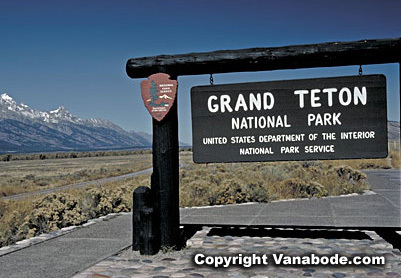 Travel info - We traveled this park well in our Class A. Map location of Grand Teton National Park. Click to see Yellowstone bison pictures. Visit the Yellowstone National Park in Wyoming and Grand Teton National Park.